This month we will have two presentations with important information that will help us as we move towards the 2020 elections. Everett Maroon will talk about his new role as the chair of the 16th LD Democrats, organizing ideas, and plans to strengthen the party in the district. This will be important for 2020 and beyond. David Fogarty will discuss his analysis of the 2018 5th CD election and what the results suggest for organizing for 2020. There are some new discussion points, so check it out even if you heard him at the January WWP meeting and/or read his analysis previously. 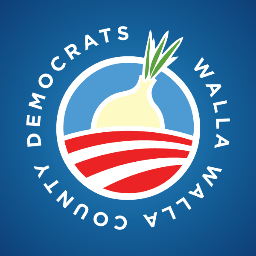 The business portion of the meeting will follow the above presentations and involve updates on our recent State Democratic party meeting in Olympia and plans for the up coming local election. There will also be discussion on re-organizing the party by committees and PCOs. We hope you will all attend!